This document will walk students through the process for adding pdf files to the WordPress media library. Students will need to save documents to be uploaded to the Media Library as PDFs before going forward. The WordPress media library will allow you to upload Word Documents, but they will not display as an "image" unless the document is a PDF. Here's a tutorial on how to save a Word Document as a PDF. 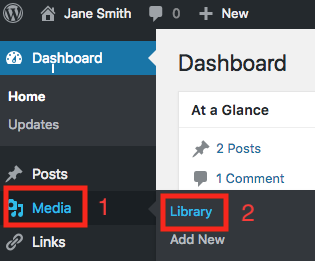 Once you see your WordPress Dashboard, hover over Media, then click on Library. 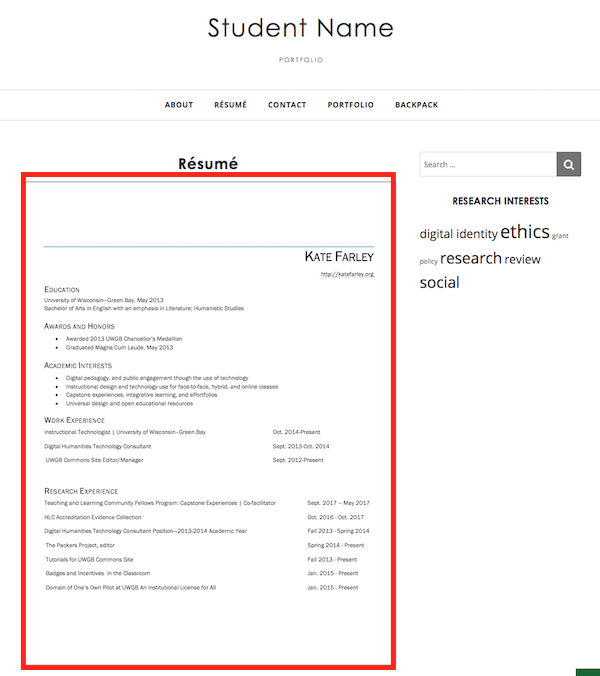 Once you've uploaded your documents, verify you have the documents you need in the media library. The icons and file extensions (what comes after the name of the document (i.e. .pdf) will show you have a PDF).